Once limited to boring charge cards and reserved for big businesses, the modern business credit card is now as varied and feature-packed as any consumer card on the market. Business credit cards come with rewards of all types, from cash back to miles and all the points in between, and a host of benefits that may make both your business and personal lives easier. Easily competing for a top place among the best small business rewards credit cards is the Ink Business Preferred℠ Credit Card. Not only does the Ink Business Preferred℠ Credit Card offer the popular Ultimate Rewards® points, but it also provides a number of useful benefits that busy business owners on-the-go will likely appreciate. This card may not be best for brand new businesses, however, as qualifying can be tricky. Perhaps one of the most alluring aspects of the Ink Business Preferred℠ Credit Card is its rewards structure that allows cardholders to earn Ultimate Rewards® points with every purchase. As is well known to cardholders of Chase’s travel rewards cards for consumers, the Chase Sapphire Preferred® Card or its sibling, the Chase Sapphire Reserve®, these points are considered to be some of the most flexible travel rewards around. And you can earn them at a pretty good clip with the Ink Business Preferred℠ Credit Card, particularly if you travel frequently for your business or operate online. That’s because you’ll earn 3X points per dollar spent on travel, shipping purchases, internet, cable, and phone services, and qualifying online advertising purchases made with your card. One thing to note is that bonus rewards cap out once you’ve hit $150,000 in combined category purchases, after which point you’ll earn an unlimited 1X point per dollar. You’ll always earn unlimited 1X point per dollar on all other non-category purchases. At their heart, Ultimate Rewards® are so useful because they can be turned into hotel loyalty points or airline frequent flyer miles for any of Chase’s 10+ hotel and airline partners, typically at a one-to-one transfer rate. This also generally unlocks the highest per-point value, earning you cents per point in well-maximized redemptions. While the everyday purchase rewards you can earn with the Ink Business Preferred℠ Credit Card are more than enough incentive for some to sign up, the additional benefits and rewards are likely to draw in many of the holdouts. To start, the Ink Business Preferred℠ Credit Card comes with a hefty signup bonus for meeting the minimum spending requirement in the first three months. Ink Business Preferred℠ Credit Card users can activate employees as authorized users at no additional cost. Though the size of the spending requirement for the signup bonus might be a bit high for businesses with few expenses, most small businesses will likely have little problem meeting the requirement. 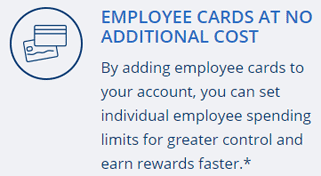 This can be particularly true for those who take advantage of the fact that you can add authorized users and receive employee cards to your Ink Business Preferred℠ Credit Card account at no additional cost. Even beyond the signup bonus, the Ink Business Preferred℠ Credit Card card has a number of fringe benefits that can make up for its $95 annual fee all on their own. 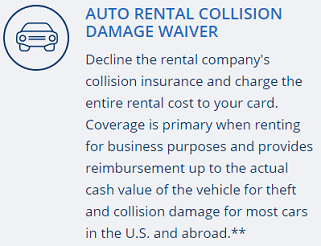 This includes primary auto insurance for rental cars when you rent and drive the car for business and decline rental company’s collision insurance. Cardholders who use their Ink Business Preferred℠ Credit Card to reserve and pay for a rental car can enjoy primary insurance coverage. Cardholders also enjoy Visa Signature® Business benefits like lost luggage reimbursement and access to roadside dispatch referral services. And get extra peace of mind with trip cancellation and trip interruption insurance should sickness, severe weather, or other covered situations impact your trip. And since the Ink Business Preferred℠ Credit Card has no foreign transaction fees, you’ll save 2% to 4% per transaction when buying in a foreign currency, both in the US and abroad. Plus you can purchase with confidence knowing you have $0 liability protection in the case of unauthorized purchases, as well as purchase protection against theft or damage and extended warranty protection on eligible purchases. For all the Ink Business Preferred℠ Credit Card has to offer, it’s pretty inevitable that there’s a catch — one besides the $95 annual fee, which can likely be made up in rewards by most cardholders. No, the biggest catch for most potential applicants will be qualifying, as your business will need excellent credit to have a good chance at being approved for the Ink Business Preferred℠ Credit Card. If your business has yet to establish its own credit — which can take quite a while for a new business — you can generally use your personal credit information to obtain a business credit card (so long as you really do have a business, of course; you generally can’t qualify for a Chase business card without one). That said, using your personal credit won’t change the basic credit requirements; Chase will still prefer to see an excellent credit score for approval. Using your personal credit can have one major downside: Chase’s 5/24 rule. 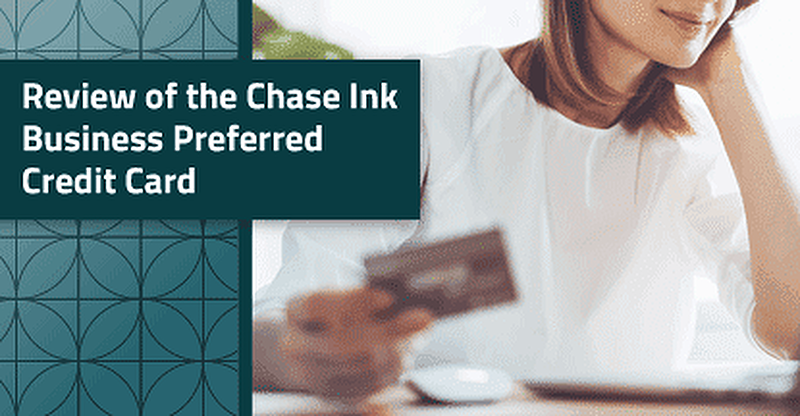 Unfortunately, the Ink Business Preferred℠ Credit Card falls under Chase’s 5/24 rule, meaning you’ll likely be instantly rejected if you’ve opened five or more new credit accounts within the last 24 months. On the plus side, business credit cards that don’t report on your personal credit typically won’t count toward your 5/24 limit. With such a wonderful array of rewards and benefits being offered by business credit cards these days, the biggest problem won’t necessarily be finding a credit card — it’ll be finding the right card. In the end, the simplest way to decide is to look at your business’s expenses and select the card that will best reward those purchases. For businesses with big travel, shipping, or advertising budgets, the Ink Business Preferred℠ Credit Card can be a valuable savings tool, offering bonus rewards in those categories on up to $150,000 in combined category purchases per year. And since those rewards come in the form of flexible Ultimate Rewards®, you can turn everyday business expenses into luxury travel (for business or for fun).